Starting with Windows 10 build 16237, Microsoft added a new option to Cortana to enable or disable showing your cloud content in the search results. This option indicates that you can prefer to search cloud contents on Cortana and search. If you enable this policy, the OS lets you explore cloud items such as OneDrive and SharePoint in search and Cortana. 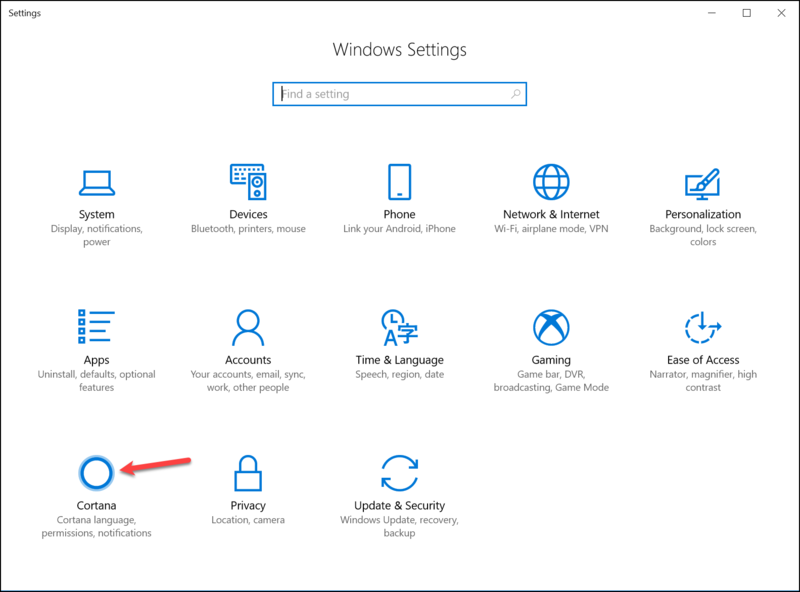 This tutorial will show you how to turn on or off Windows Cloud Search for Cortana showing your cloud content in the search results in Windows 10. 1. Press Windows + I keys to open Settings app. 2. Click Cortana icon from Settings app. 3. 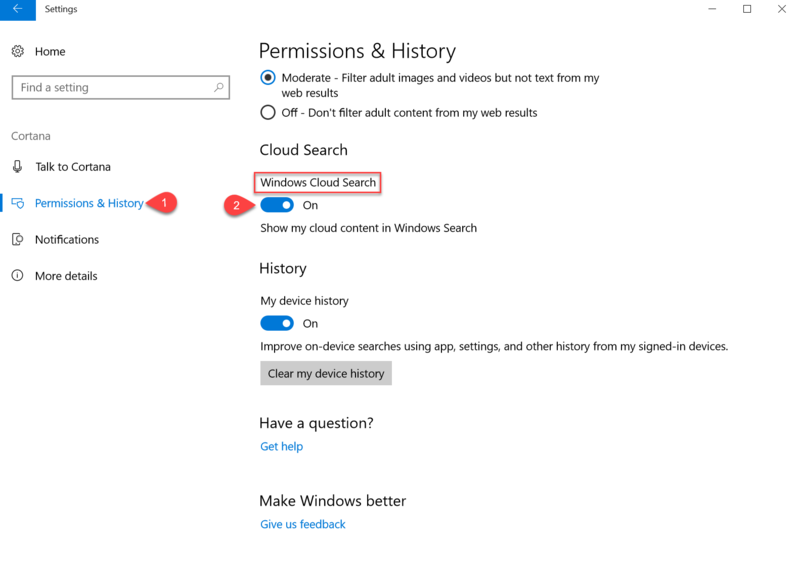 Click on Permissions & History on the left side, and turn on (default) or off Windows Cloud Search option on the right side for what you want. 4. When finished, you can close Settings app if you like. Hence, following these easy steps, you can easily Disable or Enable Cloud Search in Windows 10.